Welcome to The North Parade Guest Accommodation - Skegness - Quality bed and breakfast accommodation in the heart of Skegness, Lincolnshire U.K. Your hosts Lee and Julieanne Bunce invite you to visit us at The North Parade Hotel, a family run establishment, where you will find a friendly and informal atmosphere. 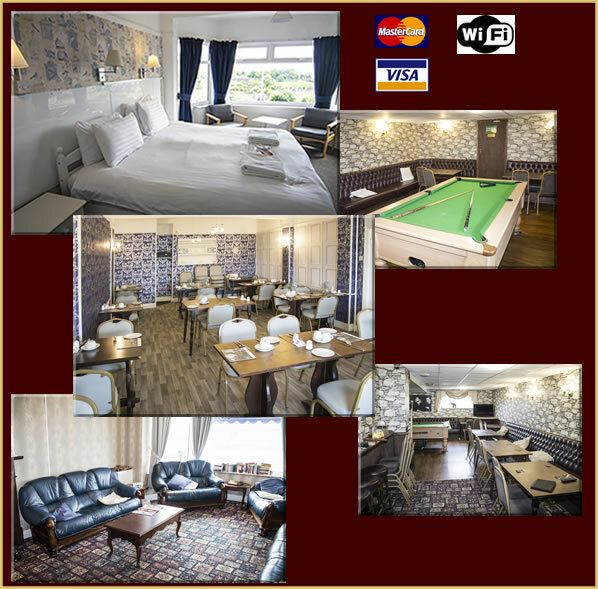 Ideally located on the sea front, the North Parade Hotel overlooks the rose gardens, Sun Castle and bowling greens. Our every endeavour will be to assure you of a comfortable holiday or short break. Many of our guests return to us year after year and we do hope that your North Parade experience will be a memorable one. Situated on the promenade, a short distance to the North of the Pier, over looking the sea and bowling greens, we are offer quantity family managed guest accommodation on the lines of a small hotel. The accommodation is centrally heated throughout for your comfort. All bedrooms are en-suite and are provided with tea / coffee making facilities, and colour T.Vs. Hair dryers, irons and ironing boards are available. Children are most welcome, and there are substantial discounts when sharing family rooms. The North Parade Hotel is an ideal location for organised coach parties and group reservations. We welcome enquiries for such accommodation.